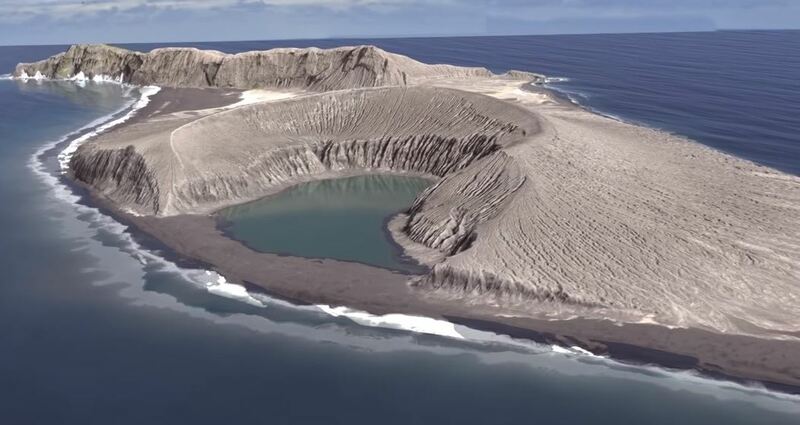 An underwater volcano buried a landmass near Tonga four years ago, and NASA researchers who visited the new island for the first time got a surprise. The South Pacific Island, informally called Hunga Tonga-Hunga Haapai, has "very sticky" clay mud, says researcher Dan Slayback in a NASA blog post about the October visit. "I'm still a little bit amazed at where it comes from," he says. "Because it's not ash." The researchers, who had previously studied the island only through satellite images, also discovered lots of vegetation and a decent bird volume (including a lamb floor), reports Guardian . These two things are easier to explain: The birds probably came from nearby islands, and they probably lost the seeds while flying.